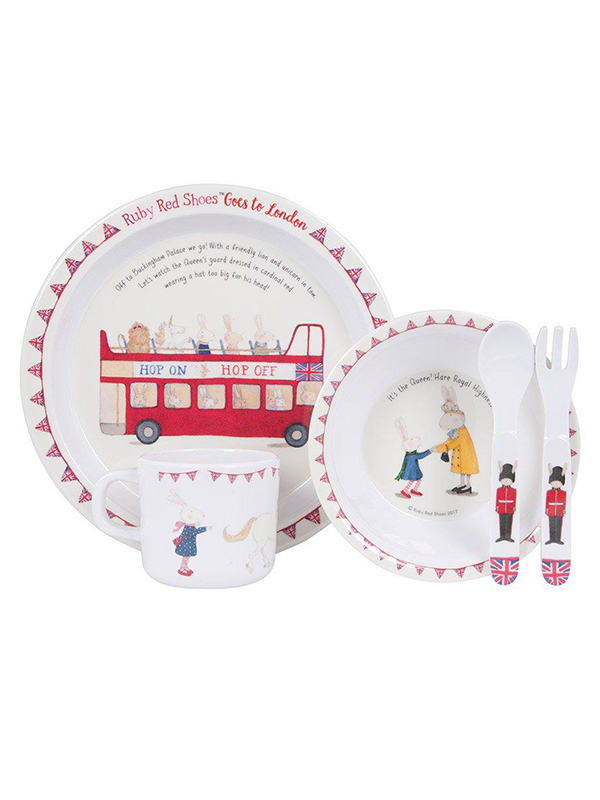 Ruby Red Shoes London Dinner Set – Taylor Francis & Co. 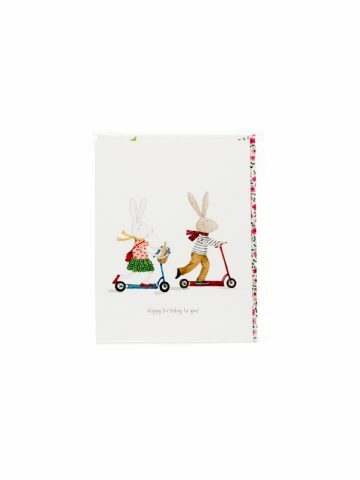 Inspired by the best-selling series about Ruby Red Shoes the very aware hare, comes a range of gorgeous giftware. This 5 piece melamine gift set is the perfect first mealtime set. 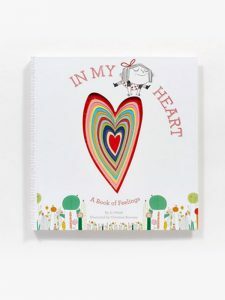 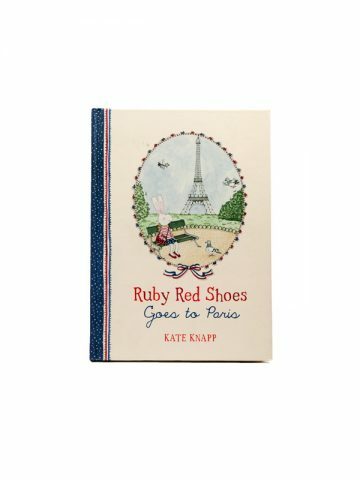 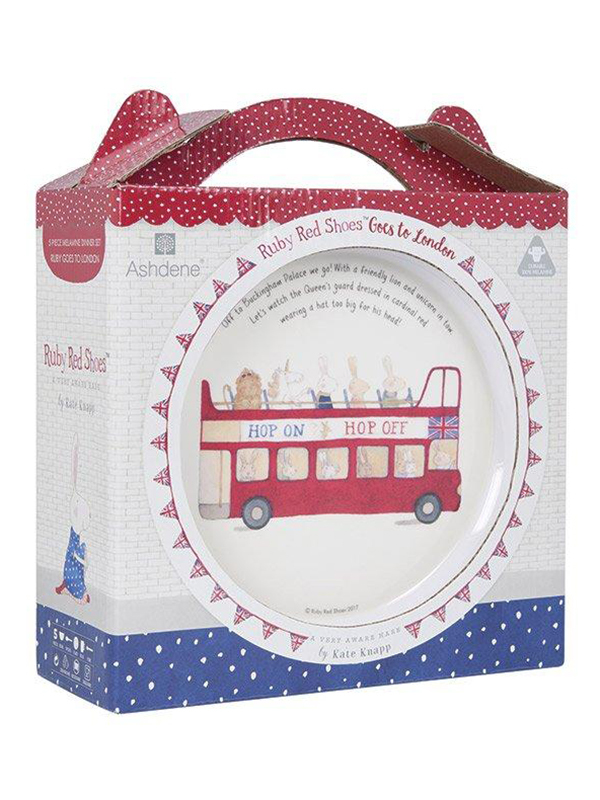 It has a plate, bowl, cup, spoon and fork and features gorgeous imagery and phrases from the third Ruby Red Shoes picture storybook, Ruby Red Shoes Goes to London. 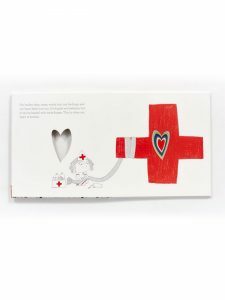 Comes beautifully gift-boxed.